As Meaghan wrote recently, NPR’s Planet Money blog pointed out, in delightful chart form, what many of us have long assumed to be true: most writers and artists grow up in financially comfortable circumstances. Nurses, police officers, and even teachers generally do better than their parents; chief executives and judges do way better; and artsy folks use the springboard of their parents’ success to make something other than money. Has it always been thus? Of course, not every successful writer started out wealthy: this quiz makes that point in a particularly clever way. (“This author might have wanted to go to college, but since he couldn’t afford it and didn’t get a scholarship, he joined the Indian Imperial Police in Burma.” Guess who!) It does make a certain amount of sense that many do, though: for a long time, it was only the children of wealthy families that even got to be literate, let alone craft stories for fun / a living. 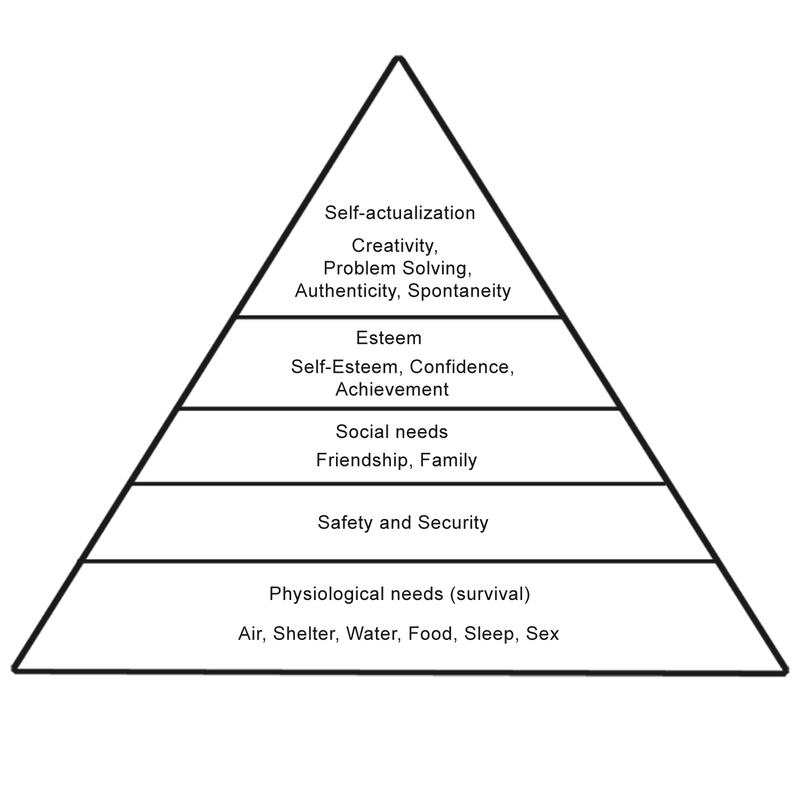 In Maslow’s hierarchy of needs, Self-actualization and Creativity come at the tippy top, once basics like Safety and Security have been accounted for. And that’s for anyone of any gender. Women have always faced the additional hurdle of being at the mercy of their reproductive systems, as well as by what society expected of them in terms of selflessness. Virginia Woolf famously said, not that long ago, that, in order to write fiction, “a woman must have money and a room of her own.” Time and space, in other words. Drive, talent, and luck are pre-requisites too. That’s such a high bar it’s a wonder women ever put out novels before 1963. When they did, what did they get in exchange? Let’s take the example of Jane Austen, one of the few pre-Woolf women who managed to unite all five attributes, and see how the world rewarded her for writing some of its best fiction. When young Jane showed a spark of talent, her father encouraged his budding author, buying her journals and writing paper, both expensive commodities. … When she was nineteen, Austen began working on “Elinor and Marianne,” the precursor to Sense and Sensibility, which chronicles how the Dashwood sisters reconciled their hearts to the brutal realities of the marriage market for women without means. Austen understood their predicament well, as neither she nor Cassandra had a dowry, because of their father ’s ongoing financial problems. George Austen was so impressed by what his daughter had written that he sent the manuscript to Cadell and Davies, the firm known for publishing Samuel Johnson and Edward Gibbon, in November 1797. “As I am well aware of what consequence it is that a work of this sort should make its first Appearance under a respectable name I apply to you,” wrote George in the cover letter. He also inquired what it would cost to publish the novel, indicating that he was prepared to cover the expense. The package came back with the words “Declined by Return of Post” scrawled on the front. In early 1803, Henry arranged for the novel to be offered to Crosby and Co., a London publisher, which paid £10 for it. An advertisement soon followed, trumpeting that it was on press, but the novel never appeared. Curses! Still, Austen soldiered on, even after the death of her father left her dependent on various relatives and their families. In late 1810, Thomas Egerton of the Military Library agreed to publish Sense and Sensibility. It’s not clear how the manuscript came to Egerton, but [her brother] Henry ’s army connections may have played a role. Egerton agreed to take the three-volume novel on commission, which meant that Austen bore the financial risk. She paid for printing, advertising, and distribution, but kept the copyright. Of course, “she paid” meant Henry did because Austen had no money of her own. “No indeed, I am never too busy to think of S&S,” wrote Austen in the middle of correcting proofs in April 1811. “I can no more forget it, than a mother can forget her sucking child.” By the fall, the novel was fully typeset and a notice appeared in The Morning Chronicle on October 31, 1811, announcing “A New Novel by a Lady.” Austen would eventually make a profit of £140, no small sum for a woman who had never had her own money. Success breeds more success. 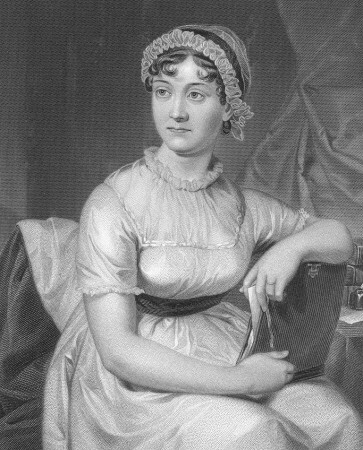 Austen was able to publish Pride and Prejudice, though for less than she would have liked. As she wrote, “P. & P. is sold. — Egerton gives £110 for it. — I would rather have had £150, but we could not both be pleased, & I am not at all surprised that he should not chuse to hazard, so much. — Its’ being sold will I hope be a great saving of Trouble to Henry, & and therefore must be welcome to me.” She also gave over the copyright in exchange for that £110 and so forfeited the rights to any further royalties. In December 1815 Emma appeared, dedicated to the Prince Regent. A second edition of Mansfield Park appeared in February 1816, but was not a sales success; her losses on the reprint of Mansfield Park ate up most of her initial profits on Emma. She had started on Persuasion in August 1815, and finished it in August 1816 — although during 1816 she was becoming increasingly unwell. In early 1816 her brother Henry’s business went bankrupt; Edward lost £20,000. In early 1817 she started work on another novel, Sanditon, but had to give it up in March. On April 27th she made her will (leaving almost everything to Cassandra), and on May 24 she was moved to Winchester for medical treatment. She died there on Friday, July 18th 1817, aged 41. 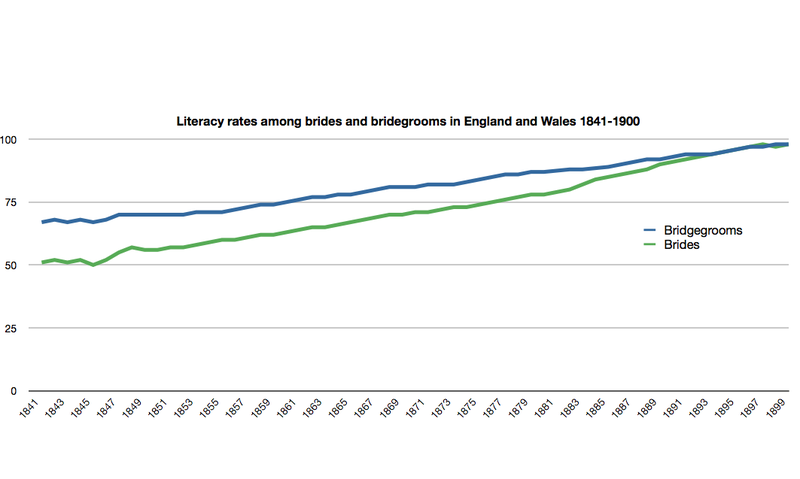 Austen didn’t start out rich and she never got rich by writing excellent and even popular fiction, not by a long shot. She remained dependent on her family to the end, which of course came much too soon. In many ways it was because of her impecunious circumstances that her fiction was so sensitive to class and status, so wry and insightful about the role money plays in guiding our choices. Viz. : “People always live for ever when there is an annuity to be paid them” and the rest of the brilliant first chapter of Sense and Sensibility. And perhaps there is a lesson there: it is certainly harder to produce art without a trust fund to bolster you, but the art can be deeper, richer, and more resonant for the struggle that went into it. Ester Bloom lives in Brooklyn.